Have you ever wanted to see the inside of one of the cool ad agencies, design firms or workshops in Kansas City? Well heres's your chance! 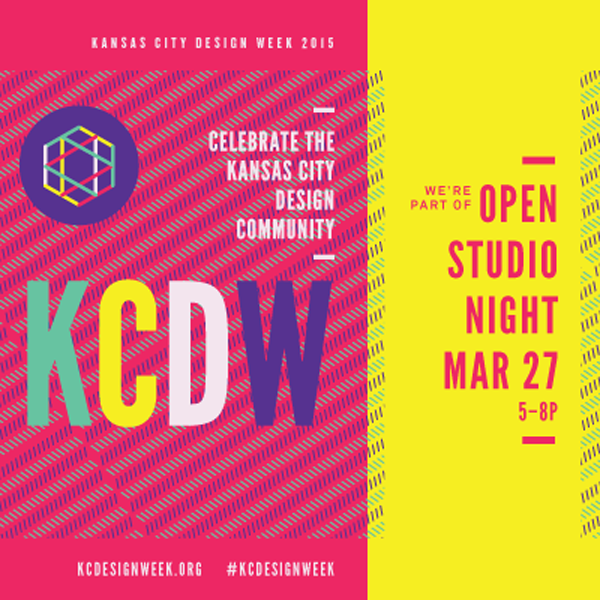 Kansas City Design Week is hosting it's first Open Studio Night in the KC Crossroads Arts District and we're happy to announce that we are one of the studios opening our doors for you to come say hello! During this free event on Friday, March 27th, more than 25 design studios, architecture firms, and local spaces will open their doors from 5-8pm for an open studio crawl! Join in on the fun and exciting experiences that highlight the unique skills and services of each place! In true Ampersand Design Studio spirit, we will have a photo booth, a little activity AND a pop-up shop, so make sure you stop by to see what we're up to!